Mac OS: How Do You Toggle HDMI Output? How Do You Turn Off Mirroring so the Big Screen is Blank? Amazon When you hook up your Macbook Pro or Mac Mini to a big screen via HDMI, your Macbook automatically mirrors its screen to the big screen. Is there a way to toggle HDMI output on Mac OS? How can I turn off mirroring from my Macbook to the connected display screen? The answer is yes. Here's how you adjust mirroring control when your Macbook is connected to a display. 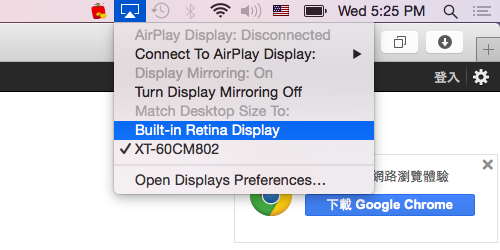 How do you turn off HDMI mirroring between your Mac computer and a screen display? Simply go to the top right corner to find the TV display icon and click on it, and you will see a list of options like the above screenshot shows. You select Turn Display Mirroring Off. You select Built-in Retina Display. Simply play around with the settings and you'll see how everything works. This tutorial applies to all types of Macbook computers and Mac Mini.